Hi everyone! Today I'm going to show you a lot of my last projects. Because it's time for ALTENEW blog hop! When I'm holding this stamps I just can't stop making cards and even more! Первая открытка на деревянном фоне, прям на настоящем)) Это один из крутейших видов картона у Altenew, тонкий слой дерева на бумаге Birch Wood :) Я использовала набор Arabesque Medallion и Beautiful inside. Арабский мотив такого хорошего размера, на всю открытку :) Видео о создании этой открытки можно найти ниже. First card with wood background. 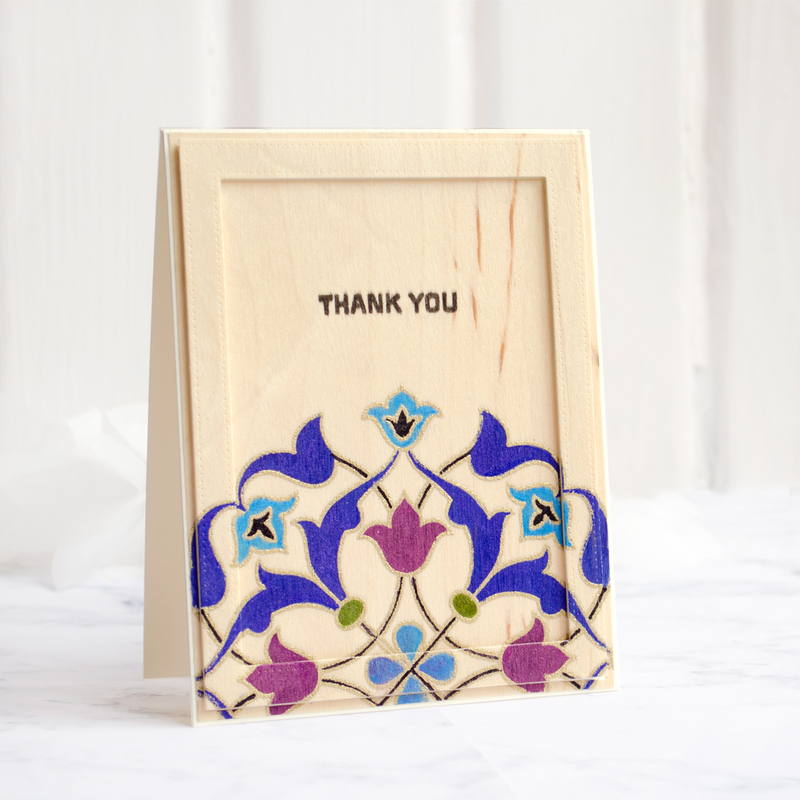 I used one of the most incredible cardstock - Birch Wood, it's like real wood but on the paper base :) Also I used Arabesque Medallion and Beautiful inside stamp sets. How I made this card you can see in the video below. Video tutorial about this card. Двигаемся дальше :) Открытка с потрясающим попугаем Ара, обожаю этих птиц за их расцветки! Открытка собралась из двух наборов Parrot Paradise и Totally Tropical. Листики и цветочки я поштамповала чернилами Altenew, а попугая разрисовала маркерами Copic. Let's move on :) Card with amazing parrot, I adore this birds, because they are so colorful and bright! To create this card I combine two stamp sets - Parrot Paradise and Totally Tropical. Leaves and flower I stamped using Altenew inks and Parrot was colored with Copic markers. Для следующей открытки я использовала такие же штампы, что и для открытки с попугаем - Parrot Paradise и Totally Tropical. Основу открытки я затонировала дистрес чернилами и приклеила цветочки на объемные квадратики. For this card I used sam stamp sets as on Parrot card - Parrot Paradise and Totally Tropical. But sentiment is from Sketchy floral stamp set. On the card background I applied blue distress ink and glue flowers with foam adhesive. Дальше идет комплект более строгих открыток с штампом Arabesque Medallion. Тут я не использовала раскрашивание, а заполнила цветом узор при помощи штампов из набора и чернил Altenew. Добавила золотые акценты маркером в середине и сделала надпись из золотого картона - Gold Foil Cardstock. And here is set of two cards again with Arabesque Medallion but in another style. I don't make any coloring, I filled all parts with Altenew inks and small stamps from this set. Also I added gold accents on the centre and made gold sentiment using electric cutter and Gold Foil Cardstock. На второй открытке я сделала надпись золотым эмбоссингом. On second card I made gold embossing using stamp with tiny from Beautiful inside. И наконец блокнотик. Был сделан под впечатлением от микса штампа, золота и деревянного кардстока)) Очень мне захотелось. что бы этот кардсток был где то еще под рукой и его можно было бы трогать :) Обрамила его в мятную экокожу, а на корешку в черную. Украсила блокнот красивой граненной стеклянной бусиной и замшевой кисточкой. I decorated the notebook with a beautiful faceted glass bead. I will draw one lucky winner to receive a $30 gift certificate. Only you need to do is leave a comment below this post until July 28 :) I will announce winner winner here in my blog on July 29. Good luck everyone! And don't forget to check out other project from amazing designers. Amazing projects you have created with your lovely talents. You have really rocked the new altenew release! Your cards are beautiful! I love the use of the Arabesque Medallion. It is amazing. Very beautiful. Your creations are outstanding. Галя, ну ты дала! Ты вообще спала перед релизом? Gorgeous projects! The tropical ones are my favourites and the notebook is amazing! Awesome cards and project. Great release and love how you used the awesome images. Very, very pretty & unique cards! Love your Medallion projects - very creative! amazing variety of projects- gorgeous inspiration! Beautiful cards. Love the many different ways you used the Arabesque Medallion stamp, very creative. All your cards are beautiful ! You have plenty creativity. Particularly like the medallion and how you showed that you don't need to colour with it - you can stamp it! Thanks so much for sharing. Very nice cards - original ideas! Beautiful cards! The medallion looks very European - love it! Amazing projects. 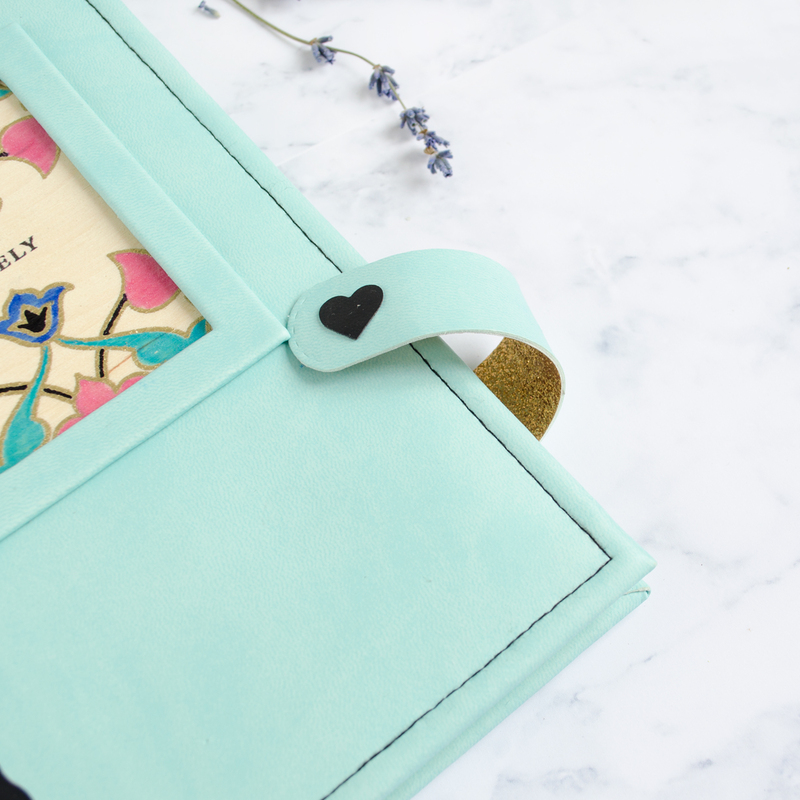 That birch wood paper is so pretty with the medallion image! Wonderful coloring. The flowers are so pretty on the tropical card. Really beautiful cards. Thanks so much for the video! Very unique ideas with the medallion stamp! 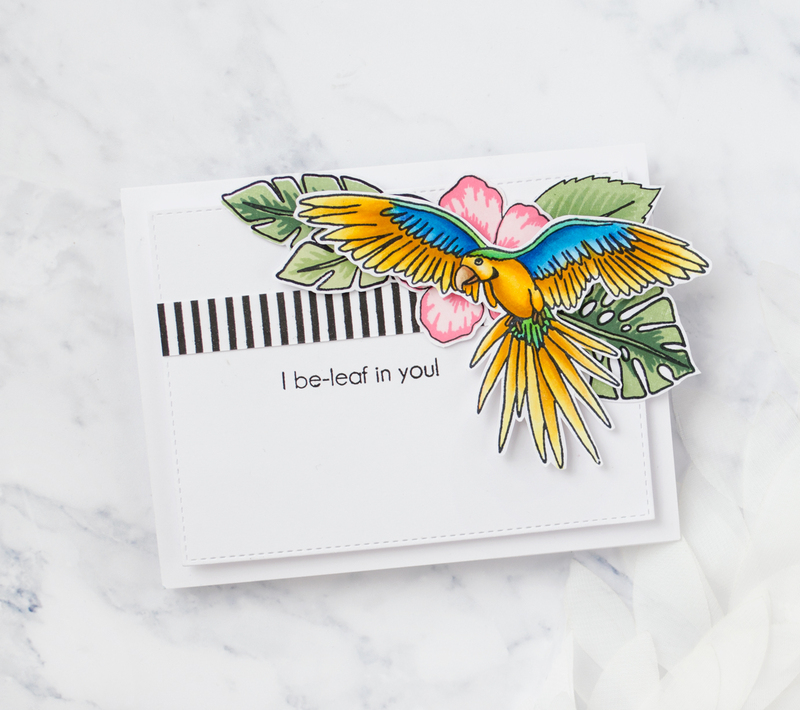 I also love the parrot and flower cards. Beautiful projects! I especially love how you used the wood paper and created the notebook. Love your use of the medallion stamp! That medallion is beautiful! Gotta have it! Wow! Beautiful projects. Love your tropical cards & you've done some fun things with the medallion stamp. Thanks so much! Gorgeous card and the insert in the journal is so pretty. I love the thank you card. Love the partial stamping of the Arabesque stamp. Really love that Medallion image and what you have created!!!! All of your cards are so beautiful! The Medallion cards are my favorites! I love the colors you chose for them! What an incredible collection of projects, Galina. Each one is so lovely. I particularly like the ways you used the medallion stamps. Thanks for sharing everything you've created. Beautiful pieces! 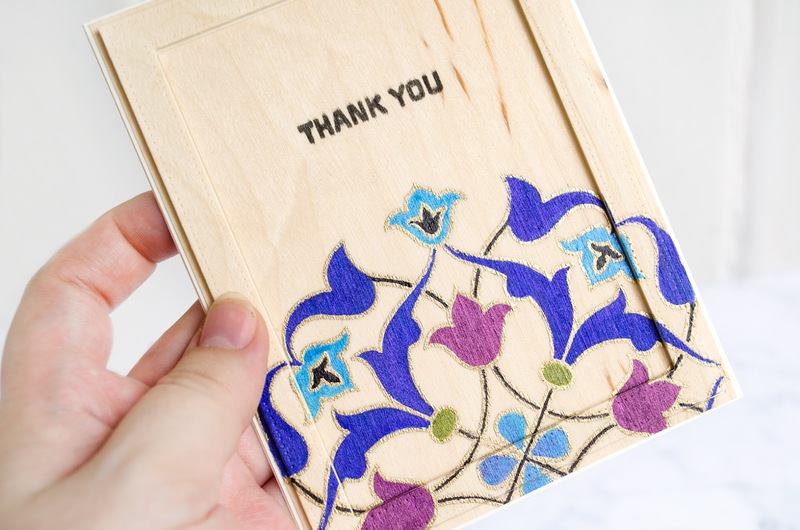 I especially love that arabesque card on the woodgrain paper!! All your cards are amazing but my favorite is your colorful parrot. Stunning coloring! 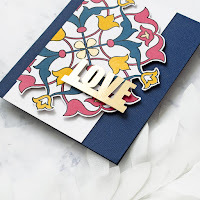 I am in LOVE with the arabesque medallion stamp set.....but you just made me totally OBSESSED with it. I must have it now after seeing your projects using it. Wow so beautiful!!! Great projects Galina. I really like your wooden card. I want some of that cardstock too!!! Gorgeous projects! Love your c color selections! 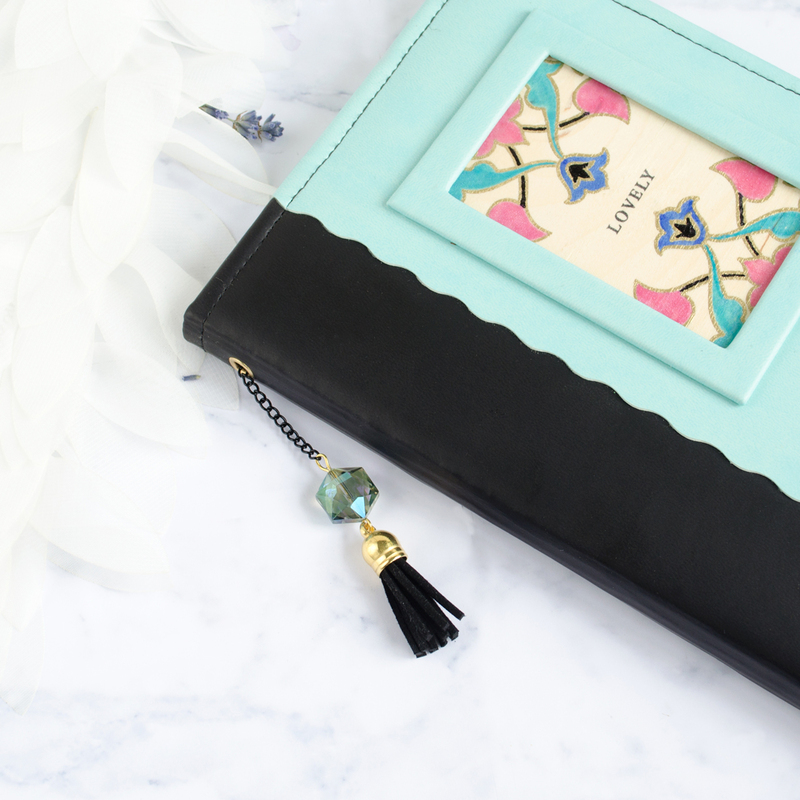 That Arabesque medallion is a must have! WOW Galina! I don't know where to start, I love it all. I'll keep it short....These are ALL AMAZING! Just stunning work! 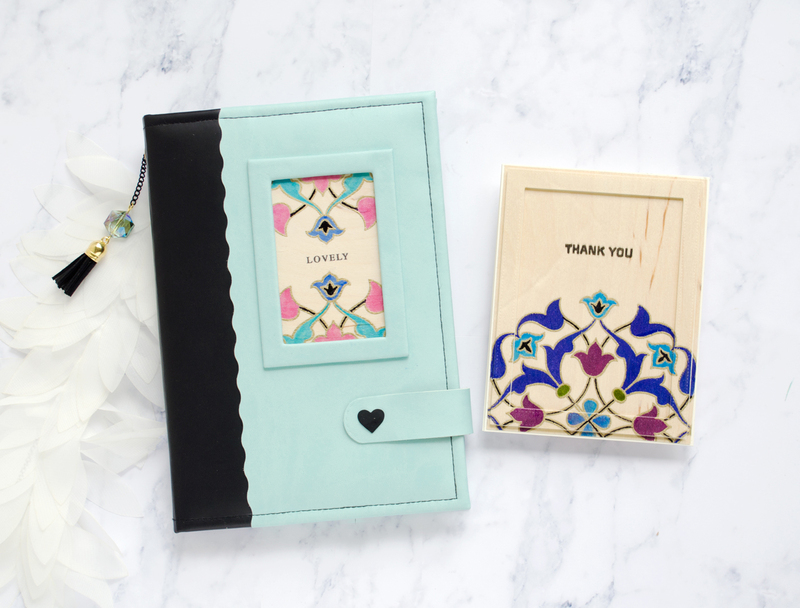 Loving the stamping on wood and the notebook. Wow.. I am in awe.. gorgeous! All of your projects are so creative and unique! Lovely! Галочка, классные какие все! А попугай-ванлав! 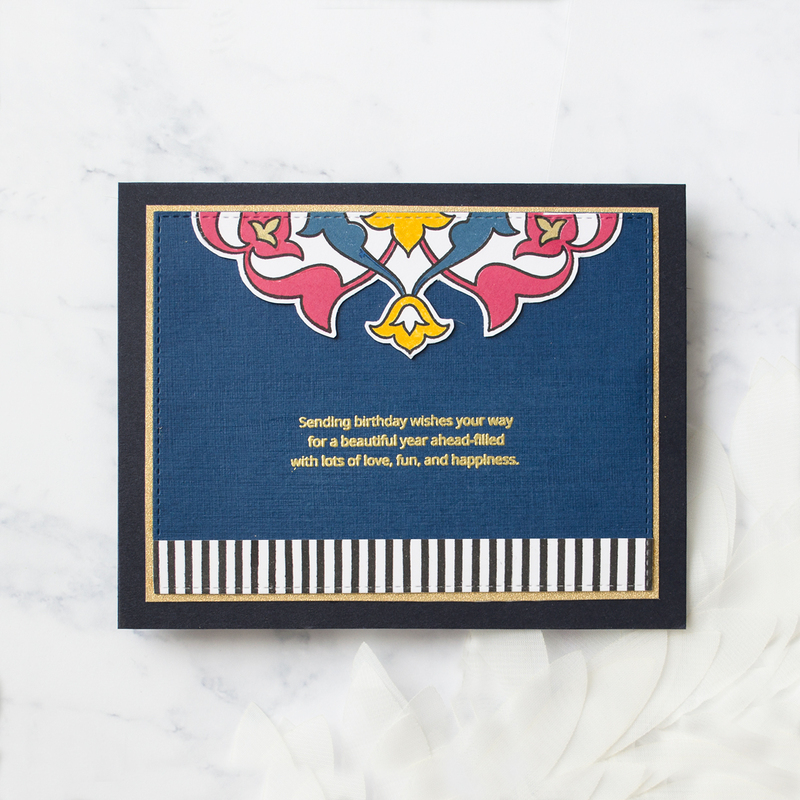 Love all of your beautiful cards and projects, just gorgeous! Thanks for sharing . I can't believe how many beautiful cards you created. Thanks for including the video. Such beautiful inspiration. I especially love the flowers! Thanks for the video. I can't believe how many different projects you did for this release & I appreciate every one of them. Such talent! Thanks for the chance to win. Stunning cards! 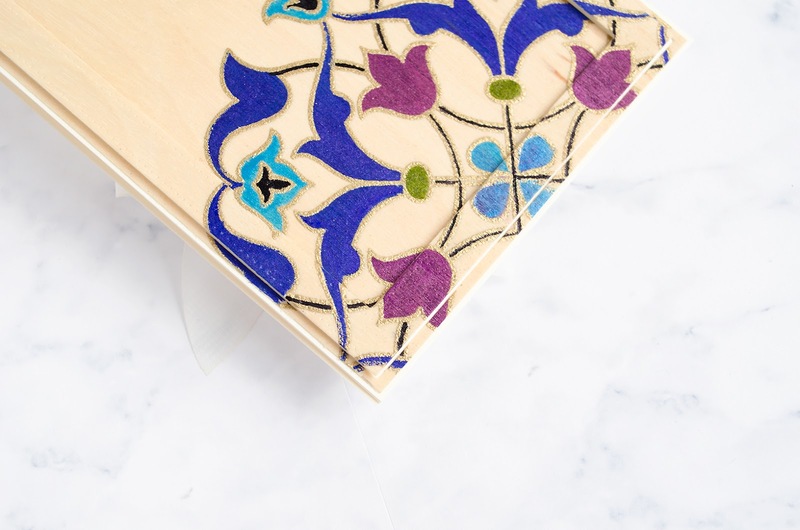 I love the new Arabesque pattern, and your different uses of the design are gorgeous! 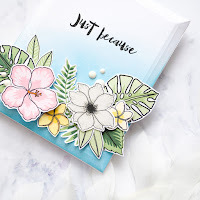 Loving this release ... the balloons, the pansies, the layered floral dies ... beautiful deisgns and projects by all you fantastic bloggers. Thank you for inspiring us all! Beautiful cards and love the notebook! The medallion cards are so pretty and the tropical ones so vibrant and stunning! I love the popped up frame on the medallion image. Very unique. Beautiful coloring. Very unique projects! Thanks for the inspiration. These are so pretty and inspiring! Your cards are all so beautiful! Thanks for the inspiration! Beautiful cards! Oh, I am in love with the tropical flowers card! Stunning! Your uses of the mosaic is fantastic. OH my! 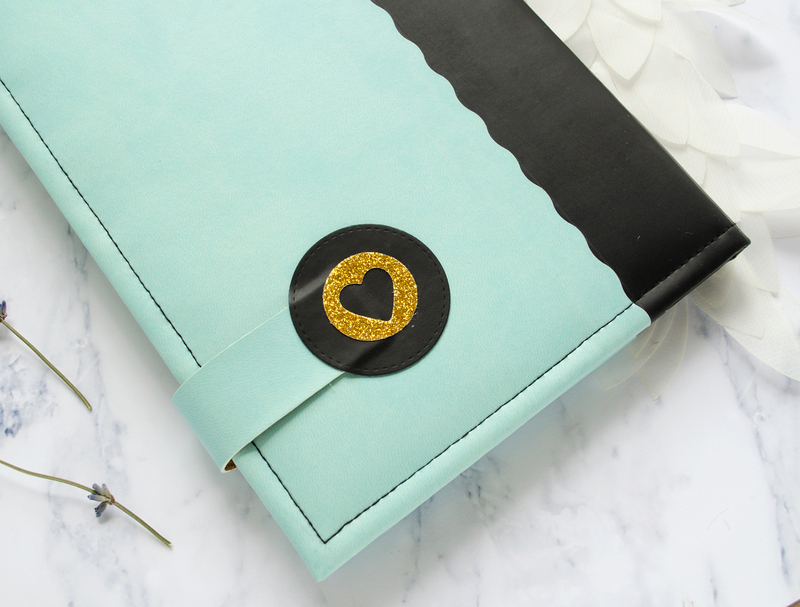 Your projects, especially with the medallion, are perfection! Fabulous work! What wonderful projects! Beautiful colors and fun designs. Thanks for all the inspiration. 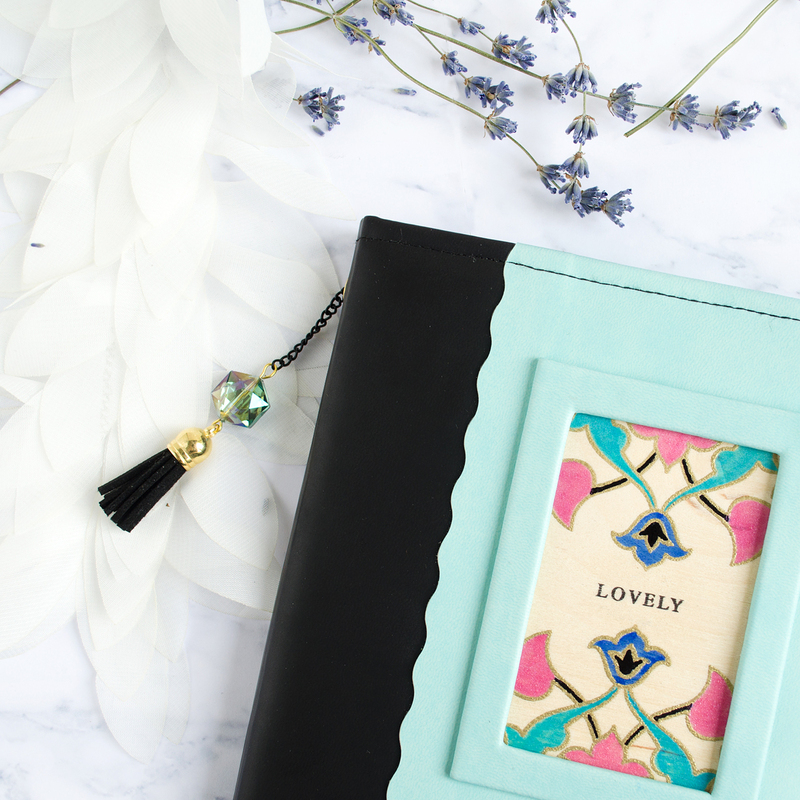 Gorgeous cards and notebook! 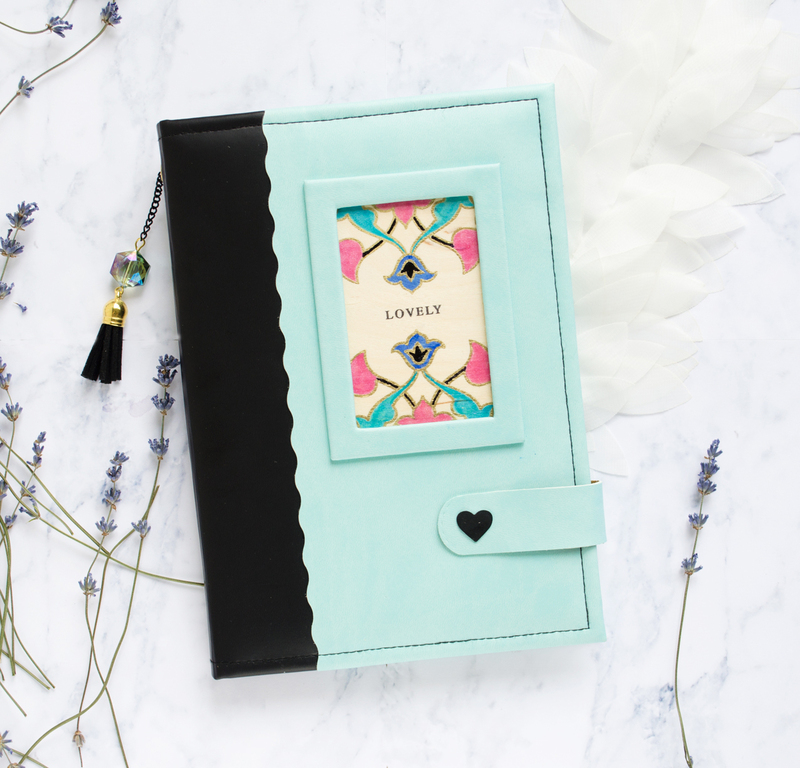 Love the way you have featured these lovely new products! Love that medallion! Thanks for all of your unique inspiration with these new release products and the video instruction with the wood paper card. Love this look! Wonderful projects! I love the wood paper also! Great work. Lovely cards, great video,original ideas.Thanks for all the inspiration. I don't know where to start, I am so overwhelmed! Every single thing you have done is beautiful! I DO understand why you would sit down and look at the stamps and go nuts creating!!! I already have a backlog of card "starts" and experiments ready to add to a card base, but no one to send them to! Thank you for sharing your amazing projects. Wow great cards. They are all pretty. 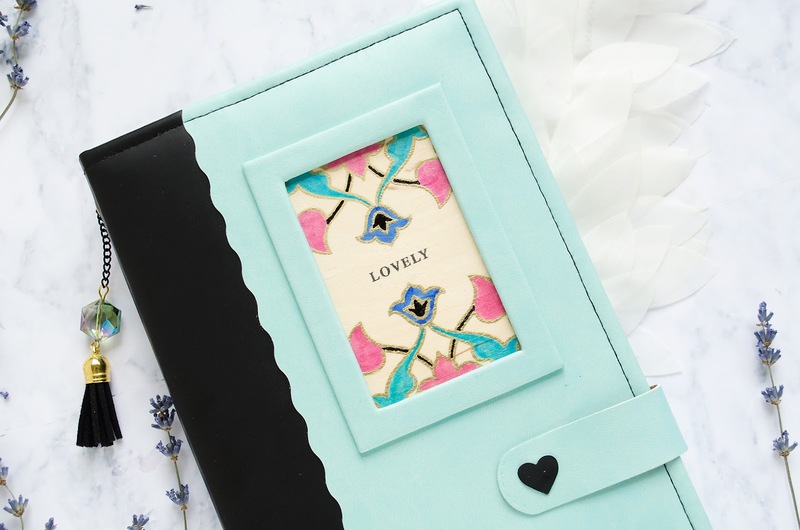 Wonderful cards and decorated notebook! Great projects, and I'm starting to like that little parrot that keeps showing up on this hop! WoW! Wonderful projects! I'm all about tropical lately, so I really enjoyed seeing yours! 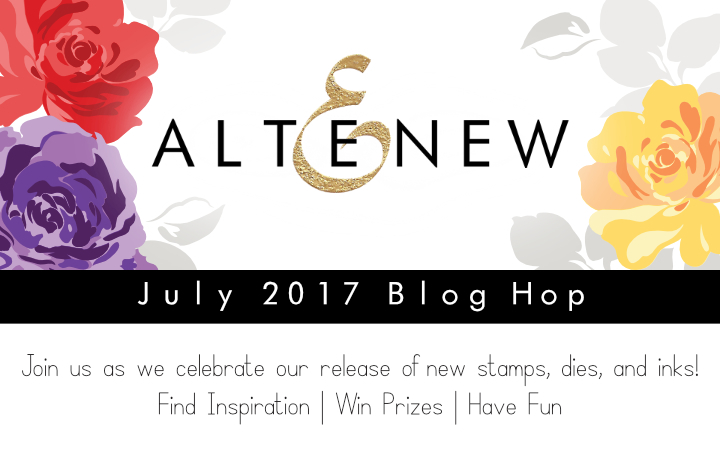 Awesome Altenew release! 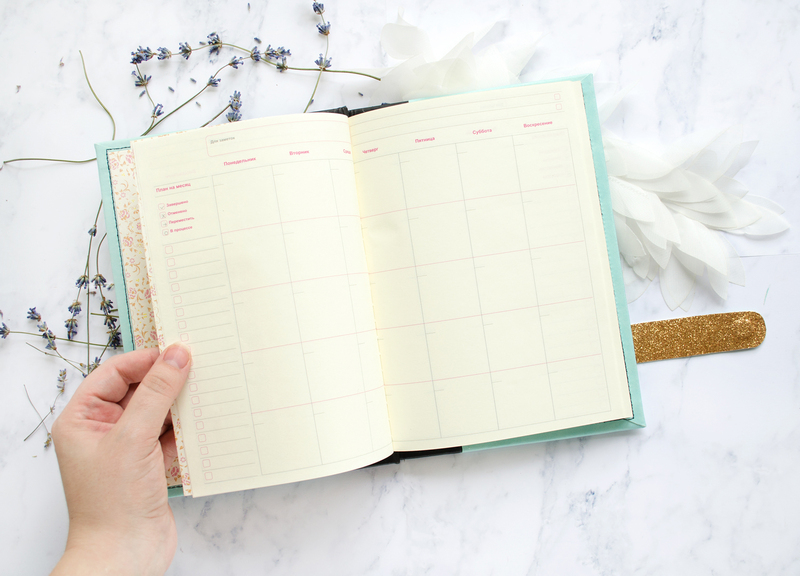 Loving this blog hop with all it's talent and inspiration! Thanks for sharing yours! Gail a, your artwork is so gorgeous! Your work with the Medallion is my favorite! All your creations are beautiful! I didn't think I needed the medallion stamp set, but I do now! Marveling at your creativity and your stunning showcases of the new release. Your tropical flowers especially catch my eye! Thank you for the inspiration! Love how you used these stamp sets. What a stunning gallery of creations! Love every one, and I love your clean style! AWESOME Hop and Release! I especially love the Medallion Thank You card! Woofers, love the medallion stamp, so many beautiful uses of it, your work is awesome! Very nice work. Beautiful colors. These are FABULOUS....all of them, WOW!! 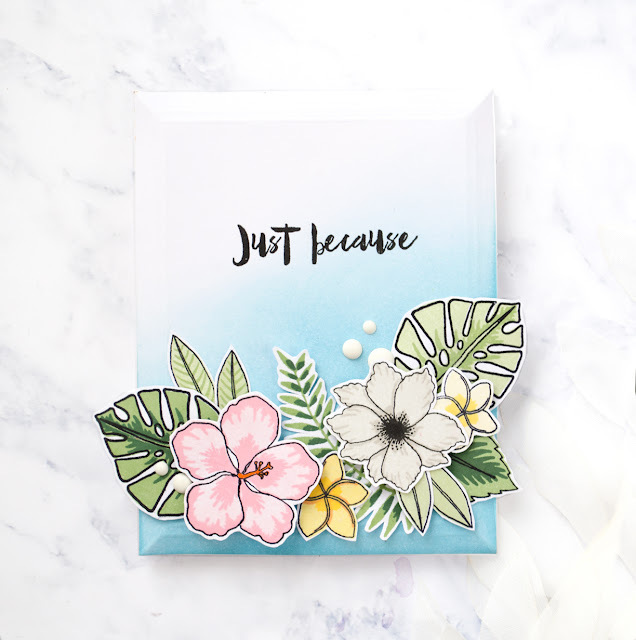 The wood cardstock coloring and the Just Because Tropicals are my favorites😍! THANK YOU so much for the inspiration 😊! Amazing! Perfect graphic cards!! Love the wood!! Wow, you made a lot of things! You've done the most out of everybody so far. I love everything and how creative you got. Thanks for showing us everything that you did and for giving us the chance to win something. Beautiful creations, I love the parrot card! Lovely projects! The wood card using the medallion stamp was my favorite. I also like the 2 cards you made by cutting the colored medallion apart! Beautiful cards and the notebook is so nice, too. Love the new Altenew release. So many beautiful projects !! Wow zero these are gorgeous! Beautiful cards--love the vibrant colors! You have endless talent. These are so beautiful. Your designs are amazing! I love the color combination on the medallion and the use of birch wood cardstock! These cards are so pretty! I love the great color! Forgot to say how beautiful all of your Arabesque Medallion cards are! I couldn't pick a favorite if I tried! TFS! I like that you used the birch paper. I will have to try it now and your framing it and using the medallion stamp...so imaginative and pretty! Wow! What beautiful work. I can't decide which is my favourite. Thank you so much for the inspiration and opportunity to win. gorgeous work, Galina - love all of your cards - especially the parrot! The medallion on the wood is amazing! Thanks for sharing a video with us! Eye candy overload!! That birchwood piece is a work of art that should be framed! 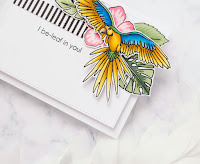 Love the journal, the macaw card and, well, all of them!! Great collection of cards and I especially like the using the Medalion stamp to decorate the notebook. Hey...that's lovely. Scrolled thru a few pages of your work....beautiful! Awesome cards. The first one on birch wood paper is gorgeous. Галя, я рада, что ты с altenew)) открытка с попугаем просто шик!!! Wonderful cards! Love the way you decorated the notebook. Such gorgeous cards. You used the medallion stamp so nicely. Wonderful cards, love how you colored the wooden frame. Thanks for the video. My favorite is the floral card. Beautiful..
Everything here is incredibly beautiful, but that first card on the wood-grain background stopped me cold. Loved it. Will have to get some of that amazing paper and try the medallion on it. 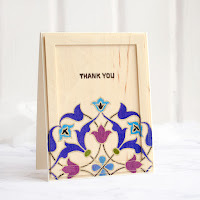 All the projects with the Arabesque Medallion are my favorites! You've shown the versatility of the set. I really loved the card with the wood-grain background. You did some really nice creative pieces! !Love the colors and the added stripes! ❤️ all your projects Galina, this is a wonderful array! That Birch cardstock is wonderful!! Thanks for the inspiration ! Love all your examples! They are so pretty! Wonderful projects! I particularly love the different ways you have used the medallion stamp. I love the notebook. Another way to use the stamp. I love that medallion stamp and you really did it justice! It looks awesome on the wood paper! 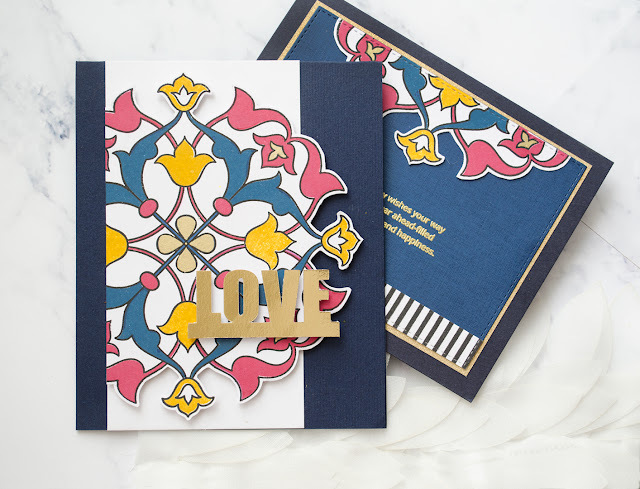 I am in love with the arabesque medallion stamp! You have done a beautiful job with everything that you made with it! I wish I could keep all of them! WOW - ABSOLUTELY FABULOUS projects! Love what you created using Medallion. I can it being such versatile stamp. Such beautiful colors used for the parrot! Wow such elegant cards, beautifully done. Really liked these cards A lot. Love all your cards, they are beautiful! My favorite are the tropical Stamp sets. I LOVE the parrot card. So pretty! TFS! How creative your projects are!! I love your wood paper, that is just awesome! Your talent sure shines! I realy loved your use of the medalion stamp set, thanks so much for sharing! Beautiful! 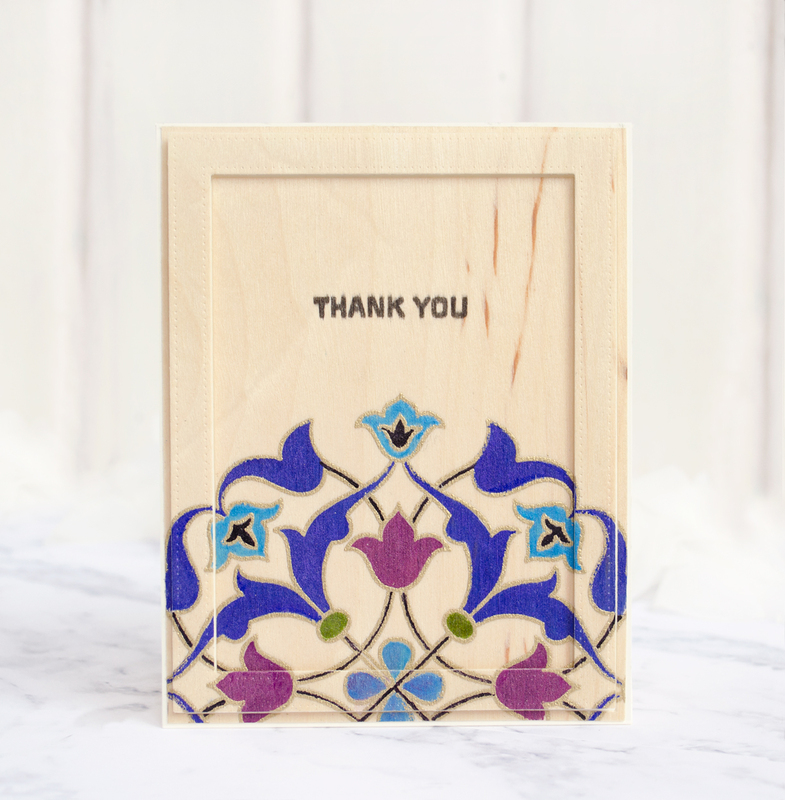 You rocked the arabesque stamp with your wonderful colors! листівка Just because нереально класна, дерев"яний фон офігенський, а блокнотик взагалі ульот!! !